One important thing the cereal report left out: The active ingredient in Roundup – a chemical called glyphosate – likely does not cause cancer in the very low levels at which it is present. Last week, a jury in San Francisco ordered Monsanto to pay $US289 million in damages to a school groundskeeper who developed cancer after years of using Roundup, the company’s popular herbicide. 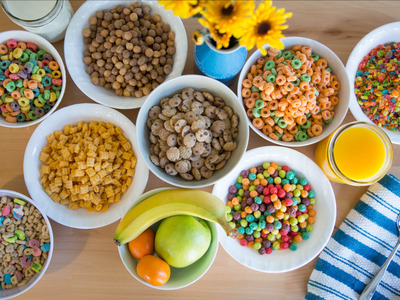 On the heels of the trial outcome, The Environmental Working Group published a scary-sounding report that found traces of the chemical in dozens of everyday foods, from cereals like Cheerios and Quaker Oats to granola bars. One important thing the report left out: The active ingredient in Roundup – a chemical called glyphosate – likely does not cause cancer in the very low levels at which it is present. The science linking glyphosate to cancer is limited at best. In fact, the majority of published research on glyphosate and cancer reveals low or zero risk. Here’s what you need to know about the chemical in cereal. wavebreakmedia/ShutterstockDozens of everyday items, from water (yes, water!) to chocolate can kill you — provided you have enough of them. Before developing cancer, the plaintiff in the recent trial had used Roundup regularly in his job as a groundskeeper at a California public school. For neglecting to alert Johnson (and the rest of the public) about the potential links between glyphosate-containing Roundup and cancer, the jury ordered Monsanto to pay Johnson $US289 million. That’s because the dose makes the poison. Eat or drink too much of nearly anything, and you can die. 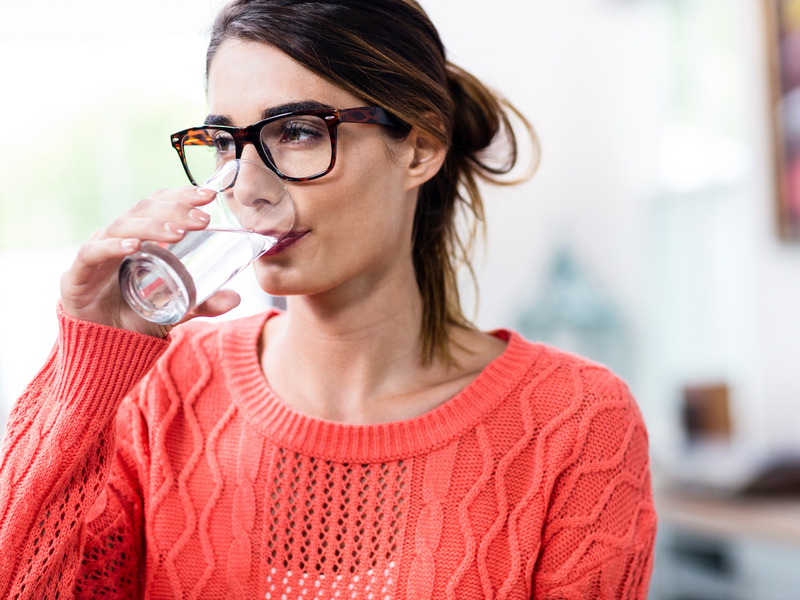 That applies to everything from apple seeds (which contain the deadly poison cyanide) to chocolate (which packs the toxic chemical theobromine) to water (if you drink roughly 6 litres of water at once, you can develop hyponatremia, a deadly condition in which an excess of water causes your cells to puff up like balloons). The scare over a potential link between glyphosate and cancer appears to have begun with a now widely-criticised statement put out by a World Health Organisation group known as the International Agency for Research on Cancer (IARC) in 2015. Several recent rigorous scientific studies have added to the notion that glyphosate – at least in the amounts we consume – poses little harm and is unlikely to cause cancer. The cereal report – which focused on children, not adults – found levels of glyphosate higher than what it determined to be safe for 43 of the 45 cereals it tested. But the maths fails to line up with other published figures on glyphosate safety levels. In its report, any cereal with a glyphosate level of more than 160 ppb, or parts per billion, was marked as “unsafe.” The Environmental Protection Agency’s legal limit on glyphosate in food for adults is 5 parts per million, or 5,000 parts per billion – meaning that the cereal report’s figures were 31 times more stringent than what the EPA considers safe. But instead of drawing from the EPA’s glyphosate numbers, the cereal report authors looked to California standards – which are notoriously tough and recently led to the controversial decision of the state slapping cancer warning labels on coffee. In California, where glyphosate is still listed in a registry of “chemicals known to cause cancer,” the levels of glyphosate considered “safe” to ingest are 60 times more stringent than EPA regulations. Using that figure as a baseline, the cereal report authors then added “an additional 10-fold margin of safety” to arrive at their glyphosate safety threshold, determining that ingesting 0.01 milligrams of glyphosate every day would give you a one-in-a-million risk of developing cancer over the course of your lifetime. Given all that, it’s not surprising that so many cereals got flagged as in the red for having glyphosate levels higher than what the cereal report authors determined to be safe. “Our products are safe and without question they meet regulatory safety levels. 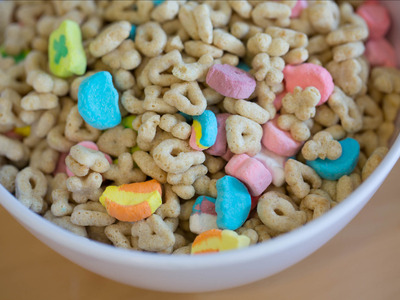 The EPA has researched this issue and has set rules that we follow,” a spokesperson with General Mills, the company behind Cheerios and Lucky Charms, said in a statement supplied to Fast Company. “Glyphosate is commonly used by farmers across the industry who apply it pre-harvest. Once the oats are transported to us, we put them through our rigorous process that thoroughly cleanses them. Any levels of glyphosate that may remain are significantly below any regulatory limits and well within compliance of the safety standards set by the Environmental Protection Agency (EPA) and the European Food Safety Authority (EFSA) as safe for human consumption,” said a Quaker spokesperson. The IARC’s 2015 statement on glyphosate and cancer is not final. Based on new studies (typically in mice), glyphosate could go from its current status – where some people see it as a potential cancer risk – to being recognised as having a low risk for harm. It’s also possible that new evidence could come out strongly against glyphosate and suggest that it’s incredibly harmful. New evidence dramatically changed the public perception of another popular product which was initially labelled cancerous – a zero-calorie sweetener called saccharin, which is sold under the brand name Sweet’ N Low. Glyphosate’s status ultimately remains to be seen.